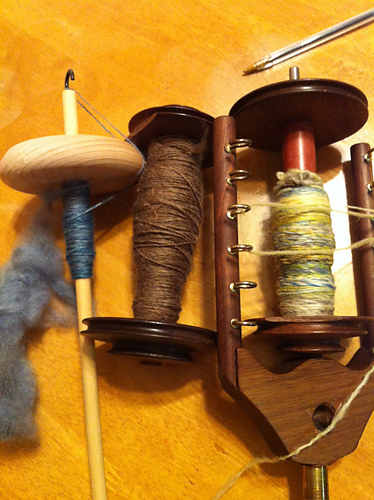 Spinzilla has drawn to a close and the members of Team Woolery are tallying up their yardage to submit this week. While we anxiously await the results of this competition to see who can spin the most yarn, we'd like to say that we've been quite impressed with the spinning skills and variety of projects our team members have exhibited. Here are just a few of the many great photos they've shared with us last week during Spinzilla! Team Woolery Member jdeshera's mixed BFL. 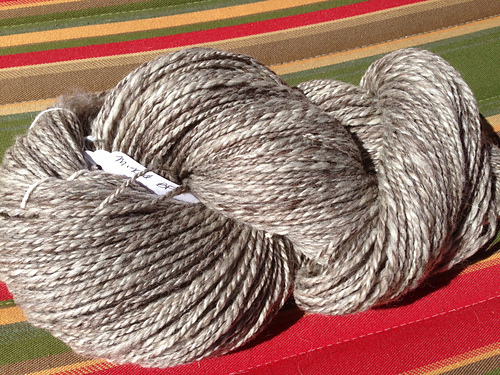 Team Woolery member AlainnCaora's Alpaca/Merino single. 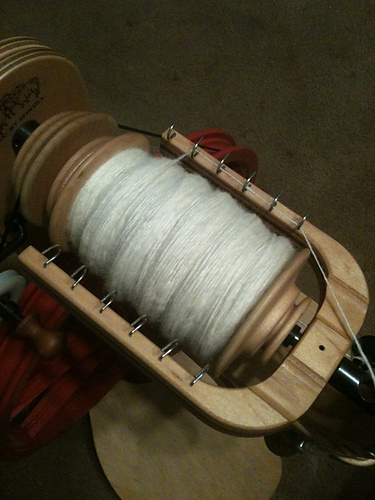 Team Woolery member JenAus0524's BFL/Silk drop spindle single & handpainted BFL roving on the bobbin. Another fun obsession for fall is pin loom weaving - it's a great way to use up leftover yarn while learning a new skill. You can even use your handspun! Pin looms come in all shapes and sizes, but share one common characteristic: portability! The Weave-It loom is one of the better known pin looms (you can read more about the history of pin looms here on the eLoomanation site), but the hand-held pin loom recently received a modern redesign from the folks at Schacht when they created the Zoom Loom, a new shop favorite here at the Woolery! 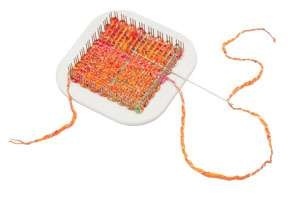 Knitters and crocheters who are curious about the wonderful world of weaving will find the Zoom Loom to be an engaging introduction, and Schacht has plenty of free weaving patterns to put your woven squares to good use. We're also starting to see some interesting ideas crop up on Pinterest, which we're collecting here on our Weaving inspiration board. Later this month, we will be sharing a few of our favorites with you right here on our blog!